Articles containing tips and tricks for Windows from a developer perspective. I was recently trying to install Windows 10 on my laptop from a USB drive, and came across an issue, that proved to be quite hard to crack as most of the solutions that were available online did not help me. In this article I will provide a complete description about it, and how to solve it, so maybe other will waste less time with it. I bought a new SSD drive (a Samsung 850 EVO 500 GB version), and I wanted to install a brand new Windows 10 on it from a pendrive. I downloaded the tool from Microsoft that allows creating bootable USB drives or creating ISO files for installing Windows 10. I created a bootable pendrive with it. I inserted the new SSD drive and the bootable pendrive, and started the installation process. I got past the language selection screen, and gave the product key. Then, when I was asked to select which partition I want to install windows on, I got stuck. I mean completely, I couldn’t get past the message saying “Setup was unable to create a new system partition or locate an existing system partition”. Like you can see on the picture. I started to look for help online. I read countless articles, and found a couple of different solutions. For some people, changing the boot order helped, or manually selecting the boot drive when the computer is starting up. But for me, nothing mattered, I kept getting the same message. I am unsure about the exact reason of this happening, but it was connected to the fact that I am using a USB drive for installing, and maybe also to the fact that I was using a USB 3.0 drive with a 2.0 socket. My theory is, that when I was on the partition selection screen, for some reason the Windows installer could not find my SSD drive, so it couldn’t create a partition on it, or select an existing one for installation. I am not sure how this happened, but I found a few other people mentioning that this might have been the reason. In short, the solution was to get rid of the USB drive, and use the SSD drive itself as the installation media. For this, what I had to do is to copy the installation files over to the SSD, and start the installer from there, without using the pendrive. However, without an operating system, this is not really straightforward, so let’s see the steps. Run diskpart in the console. This will launch the diskpart app, that allows you the perform disk related operations. Run list disk. This will list your disks, find your main drive, and look at the number of it. Let’s say it is 0. Run select disk=0, to select that disk. Run create partition primary, to create a partition that will use the full size of your drive. 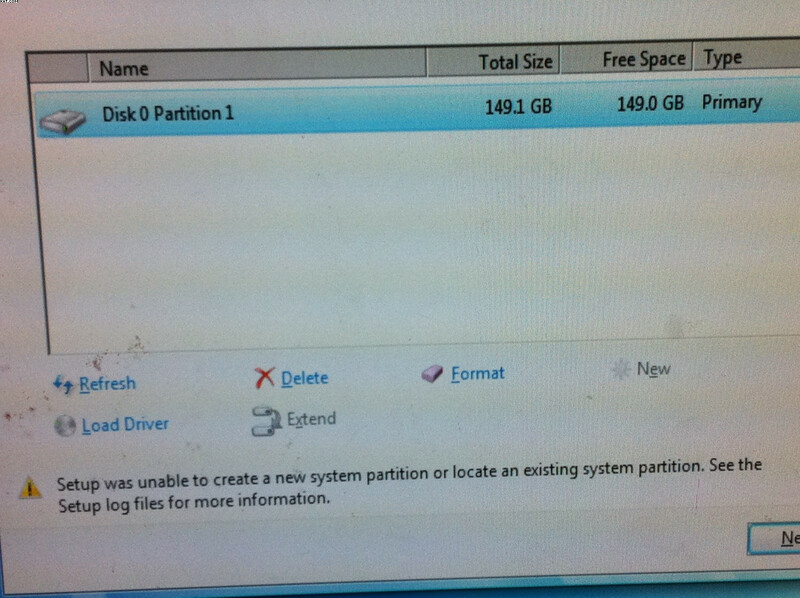 Run list partition, to list the partitions on your selected disk. Here you can see what is the ID of the partition you need to select. (You can see it from it’s size and that it’s type is “primary”). Let’s suppose the ID we found is 1. We use this in the next step. Run select partition=1, to select the created partition. Run active, this will make this the active partition. Run format fs=ntfs quick, to format the drive as NTFS. Run assign, to assign a letter to the partition. Run list volume, and find the letter assigned to your main drive and your USB drive from the list. Let’s suppose, you main drive’s partition is C and your USB drive is D.
Run exit, to exit from diskpart. Now your drive is ready, but you still need to copy the installation files from your USB drive to your main drive. You are ready. Just restart your computer, remove the USB drive, and you can install windows from your main drive to your main drive. After the installation finished, windows will boot and offer you to select between setup and starting windows. Of course, you want to start windows now, and don’t install it again. Start windows normally, and open a command prompt as Administrator. Run bcdedit to see the boot menu list. Find Windows Setup from the list, and copy it’s identifier. Go to your main drive, and manually delete any leftover directories and files that were part of your installation USB drive. You are done, enjoy your Windows 10! This issue has happened to me again on a different laptop. It was an HP G5 with 500 GB HDD. So probably we can rule out that the SSD might have been the culprit. Using the steps describen in this post helped to solve the issue again. You can use the & or && symbols to concatenate a number of commands that you would like to run after each other in the Windows command prompt. The difference between them is that in case of && the next command will only run if the previous one does not end in an error. However, the & will execute the next command, regardless of the outcome of the previous one. This concatenation can be very useful for example when you are building a project where you would have to build seperate parts in seperate directories. How to show more detailed output when using Gradle? What is the DRY principle? Why is it useful to follow?